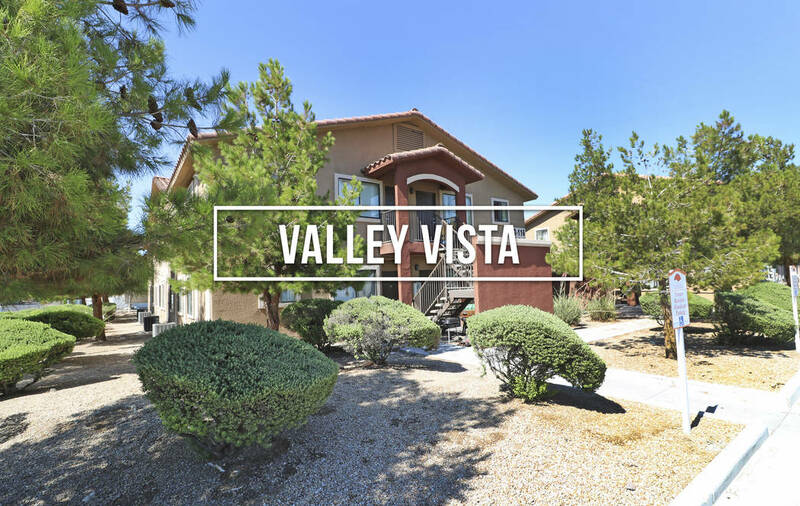 Devin Lee , CCIM; Robin Willett , Jerad Roberts ; and Jason Dittenber , of Northcap Commercial Multifamily, has announced the recent sales of Casa Bonita Apartments and Valley Vista Apartments for $7,150,000 ($99,305/unit). Casa Bonita Apartments and Valley Vista Apartments recently sold for $7,150,000 ($99,305/unit). This was a portfolio sale that consisted of two separate parcels being sold at the same time. 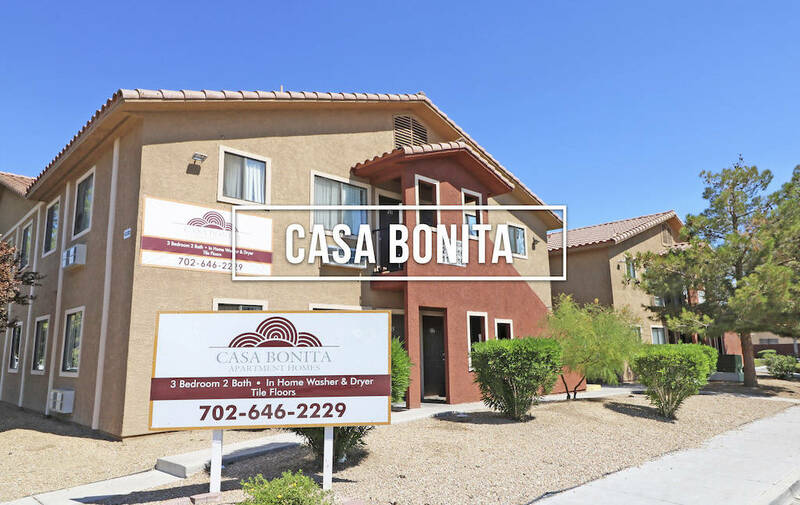 Devin Lee, CCIM; Robin Willett, Jerad Roberts; and Jason Dittenber, of Northcap Commercial Multifamily, has announced the recent sales of Casa Bonita Apartments and Valley Vista Apartments for $7,150,000 ($99,305/unit). This sale consisted of 72 multifamily units built in 2004, at 1411 N. 23rd and 2930 Mountain Vista streets. This was a portfolio sale that consisted of two separate parcels being sold at the same time. This all-cash transaction was completed in 11 days, closing on Oct. 29. Northcap Commercial Multifamily represented the seller (iA Financial Group) in this transaction. • A sale to Wabash Hillcrest (Two) LLC. The 602-unit hotel property, Siena Suites Hotel, is at 6555 Boulder Highway. The transaction value was $46,000,000. Mike Mixer, SIOR, and Dharmesh Patel of Colliers International represented the seller, Russell Boulder LLC. • A sale to Henderson Building Plaza LLC. The 29,999-square-foot office property is at 168 Gibson Road in Henderson. The transaction value was $6,989,000. Taber Thill, SIOR, and Patti Dillon, SIOR, of Colliers International represented the seller, MCA. • A sale to Henderson Real Estate Holdings LLC. The 5,914-square-foot retail is at 335 Auto Mall Drive in Henderson. The transaction value was $4,950,000. Chris Connell and Grant Traub of Colliers International represented the seller, PPLV Land LP. • A sale to Medical Systems LLC. The 9,266-square-foot medical office property is in Montessouri Surgery Center at 2555 Montessouri St. The transaction value was $1,933,750. Stacy Scheer, CCIM, and Alexia Crowley, CCIM, of Colliers International represented the seller, Prop II LLC. • A full-service electrical contractor specializing in commercial electrical construction, N.A.C. Electric Inc. purchased its company headquarters at 3405 W. Lake Mead Blvd. No. 105 in North Las Vegas in a deal valued at $520,000. Nevada State Development Corp. a SBA 504 loan provider, contributed to the financing package, along with Western Alliance Bank. • A sale to Cornerstone Land LLC. The approximately 100,000-square-foot industrial property is in Marion Industrial at 2255 & 2275 E. Sahara Ave. Brian Riffel, SIOR, and Tyler Jones of Colliers International represented the seller, Srhridar Real Estate Contra I. • ParPro (Nevada) Inc. leased approximately 24,500 square feet of industrial space in Pacific Business Center at 194 Gallagher Crest Drive. Jake Higgins of CBRE represented the landlord. • Gurney Trucking Inc. leased 87,991 square feet of vacant land at 4325 Mitchell St. Zac Zaher of CBRE represented the tenant. • A lease to United Subcontractors Inc. The 43,200-square-foot industrial property is in Prologis Las Vegas Corporate Center at 4030 Industrial Center Drive, Suite 502 in North Las Vegas. Dan Doherty, SIOR; Paul Sweetland, SIOR; Chris Lane, CCIM, and Jerry Doty of Colliers International represented the lessee. • A lease to Assured Healthcare Systems LLC. The 11,603-square-foot medical office property is in Partell Medical Center at 2870 S. Maryland Parkway. Alexia Crowley, CCIM, and Stacy Scheer, CCIM, of Colliers International represented the lessor, Windrose Partell Medical Center LLC. • A lease extension to Sofidel America Corp. The 546,480-square-foot industrial property is in LogistiCenter at Las Vegas Boulevard at 3515 N. Las Vegas Blvd. Susan Borst, CCIM, SIOR; Dan Doherty, SIOR; Paul Sweetland, SIOR; Chris Lane, CCIM; and Jerry Doty of Colliers International represented the lessor, DPIF NV 1 LV BLVD LLC (Dermody Properties). • A lease renewal to Updike Distribution Logistics LLC. The 55,125-square-foot industrial property is in Freeport West Distribution Center at 3030 N. Lamb Blvd., No. 103-104. Dean Willmore, SIOR, of Colliers International represented the lessee and the lessor, Natomas Creek Nevada LLC. • A lease to A.G. Holdings Corporation. The approximately 21,600-square-foot industrial property is in Black Mountain Industrial Park at 150 Cassia Way, Suite 100 in Henderson. Susan Borst, CCIM, SIOR; Dan Doherty, SIOR; Paul Sweetland, SIOR; Chris Lane, CCIM; and Jerry Doty of Colliers International represented the lessor, DPIF NV 3 Black Mountain LLC (Dermody Properties). • A lease renewal to Thermo Fluids Inc. The 13,650-square-foot industrial property is at 4000 and 4020 Arcata Way in North Las Vegas. Dean Willmore, SIOR, of Colliers International represented the lessor, Wildcat I LLC. • A lease renewal to Dennis Uniform MFG LLC. The 6,829-square-foot industrial property is in Hacienda Crossing at 5275 Arville St., Suite 120. Dean Willmore, SIOR, and Mike Willmore of Colliers International represented the lessor, FJM Vegas Holdings LLC. • A lease to Profile by Sanford. The 2,360-square-foot retail property is in Lynden Square at 6125 S. Fort Apache Road, No. 208. Scot Marker of Colliers International represented the lessor, 6105 Apache LLC. • A lease to Professional Nursing Consultant Services. The 1,030-square-foot office property is in Scottsdale Plaza at 8778 S. Maryland Parkway, Suite 105. Chris Connell and Grant Traub of Colliers International represented the lessor, SREF Scottsdale Plaza LLLP. • A lease to Project Dynamics Inc. The 4,662-square-foot industrial property is in Hacienda Crossing at 5275 Arville St., Suite 100. Dean Willmore, SIOR, and Mike Willmore of Colliers International represented the lessor, FJM Vegas Holdings LLC. • A lease to The Dojang LLC. The 2,100-square-foot retail property is in Pecos Legacy at 2845 Wigwam Parkway, Suite 120 & 130 in Henderson. Scot Marker of Colliers International represented the lessor, CK Pecos Legacy. • A lease to Bimbo Bakeries. The 2,077-square-foot retail property is in Pecos Legacy at 2845 Wigwam Parkway, Suite 6 & 7 in Henderson. Scot Marker of Colliers International represented the lessor, CK Pecos Legacy.